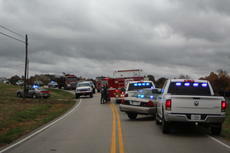 UPDATE: Hodgenville Police Chief Marcus Jackson said Bardstown Road has been reopened in both directions as of 3:23 p.m.
A LaRue County Deputy Sheriff was injured in a head-on collision on Bardstown Road near the intersection of Hwy 470 on Thursday afternoon. 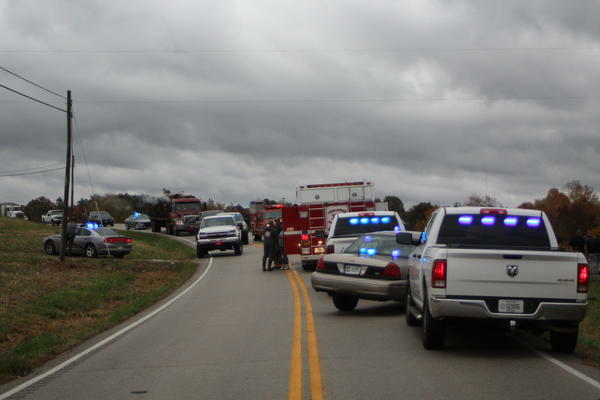 Authorities have no information on what caused the accident at this time and the name of the deputy has not been released. The deputy has been transported to the University of Louisville Hospital. A person in the other vehicle has been transported to Hardin Memorial Hospital. The extent of their injuries are not known at this time. Bardstown Road has been shutdown in both directions to Salem Lake Road and North L&N Turnpike for an undetermined period of time. Motorists are asked to please find an alternate route and avoid this area.